The authoritative reference guide for both trainee and qualified instructors. This best-selling text covers every aspect of the profession, from the role itself, to the characteristics needed to do the job effectively through the preparation for the three ADI exams (theory and hazard perception, driving ability and instructional ability). 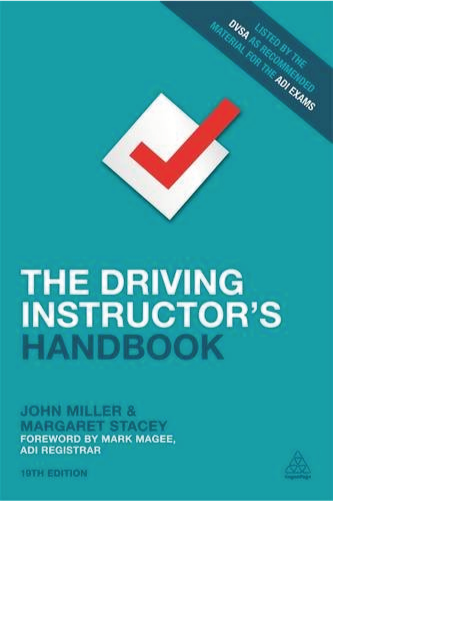 Now in its 21st edition, The Driving Instructor's Handbook is widely recognized in the driver training industry as the authoritative reference guide for both trainee and qualified instructors. This best-selling handbook is listed as recommended material by the DVSA and covers every aspect of the profession, from the role and the characteristics needed to do the job well, through preparation for the three ADI examination requirements (theory and hazard perception, driving ability and instructional ability), to the driving test. Fully updated with the latest essential information, The Driving Instructor's Handbook includes additional official DVSA revision questions, guidance on the National Syllabus for Driving and a renewed focus on client-centered learning.